This message came tonight, although I have seen various versions of it for the last few days. WBro. Jon T. Ruark, PM of The Patriot Lodge #1957 in Virginia and co-host of the Masonic podcast, The Masonic Rountable, is embarking on a new survey of the makeup of the current members of the fraternity. It should come as no surprise that the Masonic fraternity is shrinking. In fact, Masonic membership in the United States has declined every year since 1959. This fact has been the concern of Masons in leadership positions across the world; yet most of the evidence of the decline to date has been largely anecdotal. To better inform our brethren, I embarked on an endeavor to statistically assess the drop in Masonic membership to provide a more accurate picture of where we’ve been, where were are, and where we’re going. 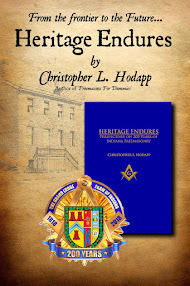 You can view the culmination of my research in the presentation I gave at the Pennsylvania Academy of Masonic Knowledge. As I mentioned in the presentation, the membership statistics collected and compiled by the US Grand Lodges only point to indicators that something is wrong, and not to root causes themselves. More data is necessary to further refine why we’re declining, and what we can do about it. 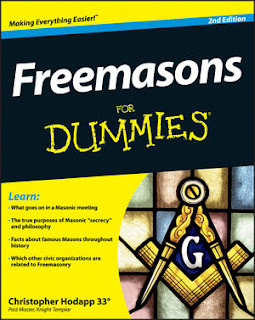 Solutions to the root cause(s) of why the Masonic fraternity is losing members must, ultimately, come from within the fraternity itself. Over the past several years, initiatives such as One Day Conferrals and the Traditional Observance movement have been executed to improve the Masonic experience, albeit with varying degrees of success. I posit that we cannot come up with viable long-term solutions without truly understanding the problems we’re facing as an organization. Membership details are often buried within the sovereign boundaries of each Grand Lodge, if collected at all, and are not shared publicly for the benefit of the craft. Today, this changes. I am asking--from one brother to another--for all brethren, Entered Apprentices and above, to help me populate what is most likely the most comprehensive survey constructed to date on the current makeup of the Craft. This is your opportunity to assist me in pointing to the real issues taking place in the fraternity today vice sitting idly by and watching our great fraternity diminish. Please consider helping the fraternity out by visiting www.tinyurl.com/masonicsurvey and taking ten or fifteen minutes to answer the questions. 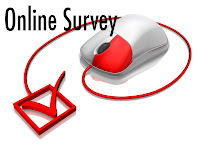 The survey covers information about you, your lodge activities, demographic information (including religion and politics), and your likes and dislikes about the Masonic experience. Your responses will be kept confidential. I will NOT release the raw data to anyone, but I will likely show aggregated charts in future presentations. Rest assured, however, that individual responses will never be shared. If there are any questions to which you feel uncomfortable responding, please skip the question and continue on with the survey. It is available now, and will be open through St. John’s Day (June 24th 2016). I can’t thank you enough for all of your support! While I fully support the idea behind this project, when I filled out the survey I found that it's design made numerous assumptions that would prevent it from actually getting a full and accurate data set. For example, it only allowed data (name, dues, # of members, etc.) from the assumed ONE lodge you belong to. For those of us who belong to more than one lodge that will skew the data. (One of my lodges is moderately sized, older members, cheap in dues and fairly inactive and one is small, expensive, younger members and extremely active. I had to pick one to represent). There were several other areas with similar over-simplified questions. For example, religious identify questions were "pick one" whereas data from the American Academy of Religion shows that many millenials are either "multi-denominational" (Catholic AND Buddhist) or "spiritual" (which can be well-defined and is neither agnostic or atheistic). IMO, these and other design flaws will make this survey of limited use. Thank you, Chris for posting this and thank you Brother White for your feedback. To keep things simple, I opted to start with just a single Lodge. I'll improve this the next time. As for the other "over-simplified" questions, I used the categories identified in a 2014 Pew forum survey on religion. I also made sure to separate being active in your religion from spirituality. Finally, I thank ALL of the brethren who have contributed already! Please share with the brothers in your Lodge!